Marcelo Wants to Join Ronaldo at Juventus in January! One of the key players of Real Madrid, Marcelo has shown his desire of joining former teammate Cristiano Ronaldo at Juventus in January. 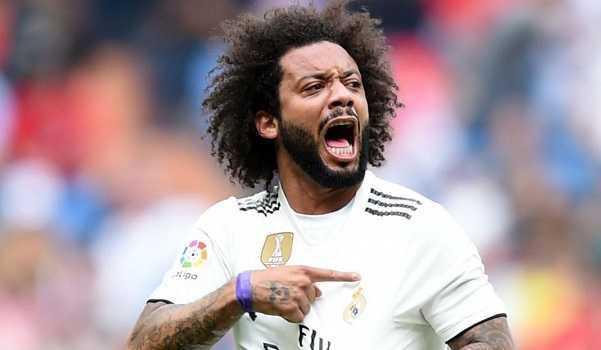 Marcelo has been a part of the Real Madrid squad since 2007 and has been an integral part of the team that has seen plenty of success over the past decade. Real Madrid has not been doing well after the departure of Cristiano Ronaldo this summer. The club is struggling with its attack after the Portugese departure and has been looking for ways to fill the gap. However, now another player, Marcello has shown his desire of moving to Juventus. This was reported by an Italian news outlet, Tuttosport. As per the report, Marcelo has told Florentino Perez, the Real Madrid president that he wants to join Juventus in January. As per reports, Florentino Perez values Marcelo as one of the key players in the squad and Marcelo’s desire to move is not well received by Florentino Perez. Real Madrid is already trying to cope with the departure of Cristiano Ronaldo. And it is evident that the club cannot sustain the departure of other established players. It is believed that Ronaldo and Marcelo have been in contact constantly over the past few months and Ronaldo has quite an influence in Marcelo’s desire to move to Italy. Real Madrid already had its fair share of challenges. And now the management will have to either pursuade Marcelo to stay at the club or look for a viable alternative.